I don’t know what it is about cranberries but they seem to be a big part of the holidays! I have a new found love for them, and have enjoyed the new recipe possibilities this season. In the past, when I thought of cranberries, I just thought it was just a can of goop that you opened and placed on the table for decoration. Boy, was I wrong! These little gems are so amazing that they will become your new holiday tradition! Preheat oven to 350 degrees and line cupcake pan with liners. Combine all the ingredients together until fluffy and smooth. Fill liners about 2/3 full of batter. Bake for 15 to 17 minutes or until the cupcakes bounce back by touch. Frosting: Combine heavy cream, pudding mix, and powdered sugar in a large bowl and whip until the frosting starts to thicken. Add the cranberries to the frosting and whip for another 30 seconds or until stiff peaks form. 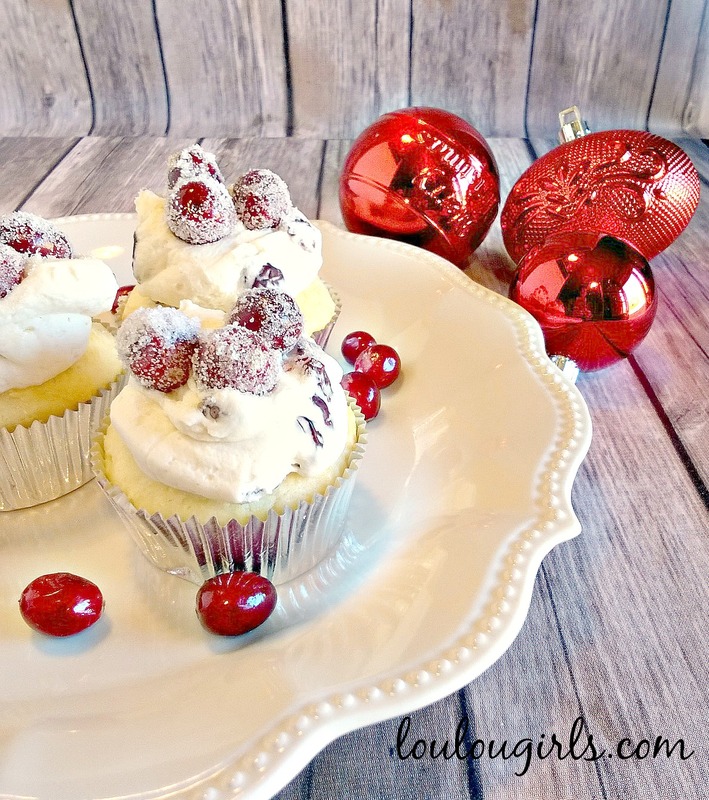 Frost the cupcakes and then add your glitter cranberries! Combine water and 2 cups sugar in a pan and heat on a medium heat until the sugar dissolves, about 2 to 3 minutes. Do not let it boil, just bring it to a simmer. Add the cranberries to the pan and stir until the cranberries are well coated. Let them set in the water for 2 to 3 minutes. Place the cranberries onto a piece of parchment paper. Make sure to keep them separated. Let sit for 30 minutes. Roll the cranberries in the 1 cup sugar. Awesome post you made. It gone viral on the internet. Thanks for providing such helpful stuffs online. 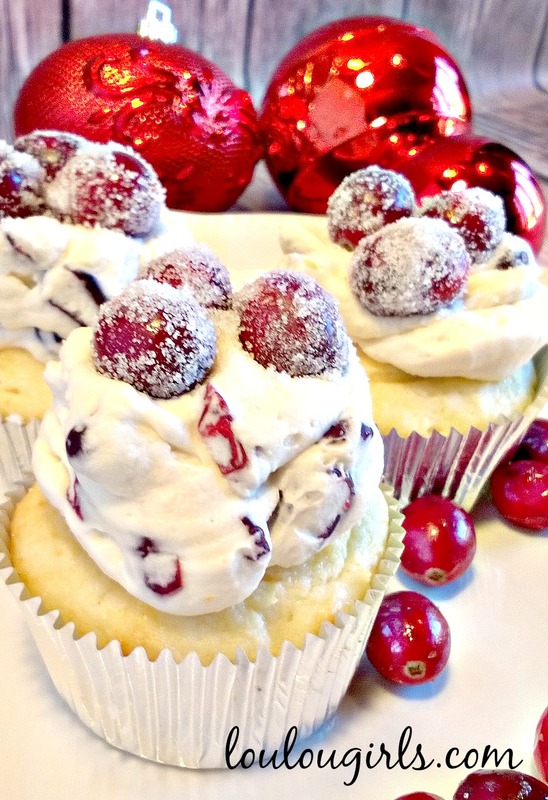 Those sugared cranberries look amazing!! These look soooo gooood!!!! 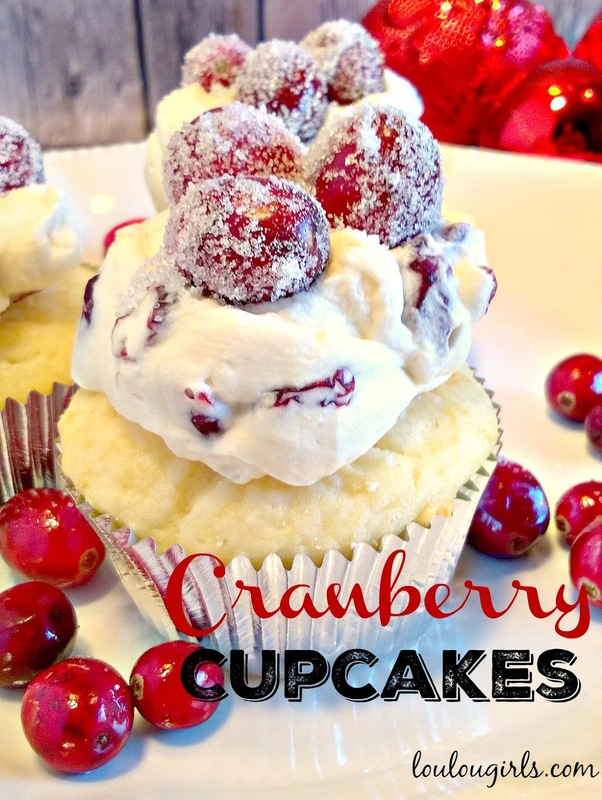 Cupcakes and cranberries…who knew cupcakes could be healthy?! Thanks for sharing! What gorgeous pictures! Definitely magazine worthy. YUM! these look amazing! i love festive cupcakes ♥ thanks for sharing! These look so amazing that I've picked them to feature at Share The Wealth Sunday (starting tomorrow at 7) Thanks so much for linking up all your awesome posts with us each week! Looks delicious, thanks for sharing with Hearth and soul blog hop, pinning, tweeting and featuring on this week's hop. Oh I love sugared cranberries. And they look so special atop these cupcakes. Thanks for sharing on the #HomeMattersParty . I hope you will join us again in the new year. Good Morning!! I wanted to stop by and let you know that your post has been selected as a Feature for the Welcome Home Wednesdays Link Party! Stop by this morning to see your post linked up and don't forget to grab your Featured button too!! I made these today and this recipe is AMAZING!! I had to add another 1/4 cup of milk to the batter because it was a little too thick but the result was fantastic the cupcakes were so soft and felt like a cloud. Would recommend this to everyone! Thank you! I love hearing that!